Sandals is unmatched in the level of quality, luxury and service. The number of choices available will astound you. Covering Jamaica, Antigua, Saint Lucia, Bahamas, Grenada and Barbados, with another resort coming for Riveria Maya, Mexico, Sandals is a Caribbean family-owned company with roots in Jamaica. As a Sandals Preferred Agency, we have put together a Step-by-Step Sandals Destination Weddings Guide to assist you in planning your big day! We also have a Sandals guide to free Sandals wedding inclusions and a Sandals group inclusions savings guide. We also have recommendations for cool ideas, special options and touches for your Sandals wedding and wedding party! Check out our Sandals Wedding Entertainment Ideas area. There are 4 teams working for your success. Further assist by providing advise on the resorts and locations on property, documentation needed for your chosen destination. Introduce you to your pre-travel wedding planner. Assist with wedding planning details. Work with your pre-travel wedding planner all the way up to your departure. They assist with any additional activities you would like to include during your stay. Salon and spa appointments, island tours, rehearsal dinners, and additional items. Personal resort wedding planner and dedicated team will ensure everything you have chosen is available without a hitch. 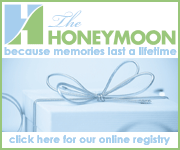 An exclusive wedding details meeting, ceremony location tour and more! 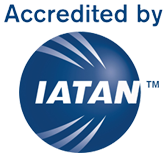 We are a certified Sandals Preferred Agency and we are Sandals Certified Specialists. With our knowledge and experience, why choose anyone else? Sandals continues to find ways to make the wedding planning process easier for you and your guests. Through your travel agent, they offer tools, calendars and other items to assist and help celebrating your destination wedding at a Sandals or Beaches resort. On behalf of all of us here at Vincent Vacations and Sandals Resorts, we want to extend the warmest congratulations! we consider it such an honor to be considered in the planning of such an important journey. We want you and your guests to say, it was the best wedding ever! Sandals is flexible with the design and theme of your overall wedding. From color palette, decor, flowers, you can choose pre-designed themes or Sandals will work with local vendors to source your requests. 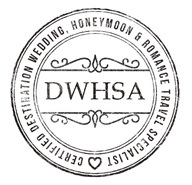 Pre-travel wedding planners can assist with hands-on advice and expertise in design to assist. Marriage documentation is provided by the island destination through your Travel Agency. Sandals assembles a team to assist with your wedding and planning, on location at the destination of your dreams. Dedicated wedding professionals to assist you every step of the way with absolutely every detail. Your very own personal wedding dream team!